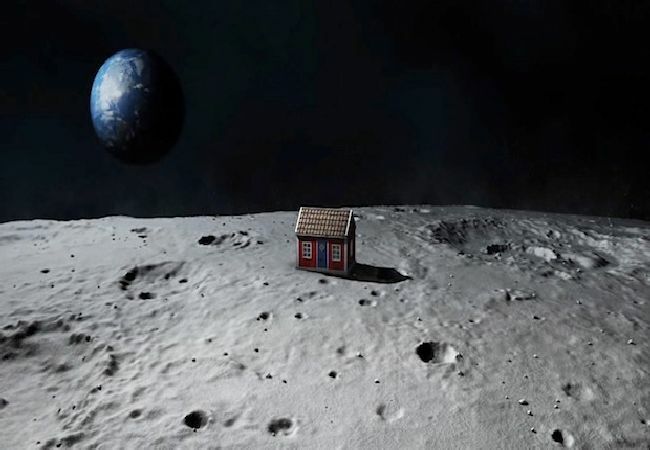 HomeArticles | NewsLatest PostWhat if the debtor lived on the moon? What if the debtor lived on the moon? First it is necessary to define the meaning of thinking “out of the box”. Most people use traditional methods to solve traditional problems, thinking out of the box is the term used for the people who use untraditional methods to solve traditional problems. The term is used to describe any method that is not previously been used to solve the problem currently at hand. Most thinking out of the box is actually intentional brainstorming to solve a problem although a percentage of the unconventional solutions are the vision of someone involved in the process. How can train my group to think “outside of the box”? Not all people are visionary or able to see solutions to their everyday problems. Most employees are far too engrossed in the daily affairs of their position to spend any time trying to make it easier to accomplish. They do their job and exactly as they were taught without questioning whether it is the best way to perform the task. Yet some employees always see a better way to accomplish every task these employees are generally able to over produce their coworker by improving the processes within their own job parameters. People can be taught how to think in a diverse manner but it will always be easier for that percentage of employees who have the vision to do so. As a manager it is imperative to deploy the right people to the right situation and therefore using the visionaries to help you create new ways to solve old problems is a win/win situation for the business and employee. By the using creative thinking you can learn to think in a more visionary method. One of the most common tools used in brainstorming in the Six Sigma methodology is the use of “what if?” in this exercise after defining the problem you asked “what if the problem existed”, on the moon?, underwater?, below freezing temperatures?, within a culture of caveman? or any other off the wall suggestion. This exercise may bring on many answers that will not be helpful to solve your current problem but it will begin the group of employees to think about the problem in a different manner. This is essential to thinking out of the box. So how can you create a culture of visionaries, it will probably be difficult to create a complete culture of people who are forward thinking but with the deployment of the proper personnel to the proper projects and you’ll be able to come up with ideas that are “out of the box”. As this culture is formed it will slowly grow, the non-visionaries will see what the visionaries have been seeing for sometime and they will learn to think in unusual patterns. This is when all problems within the culture will be approached with an “out of the box” solution. There will always be room for traditional solutions to traditional problems but the visionaries who can see solutions no one has thought of will be the ones who succeed at business. The debt collection industry is full of people who have been doing the same job the same way for decades, technology is the only major transformation in the debt collection process in decades. But many young and new entrepreneurs beginning to come into the collection industry with new ideas and new ways to skin the same old cat things are changing and new methods are emerging.